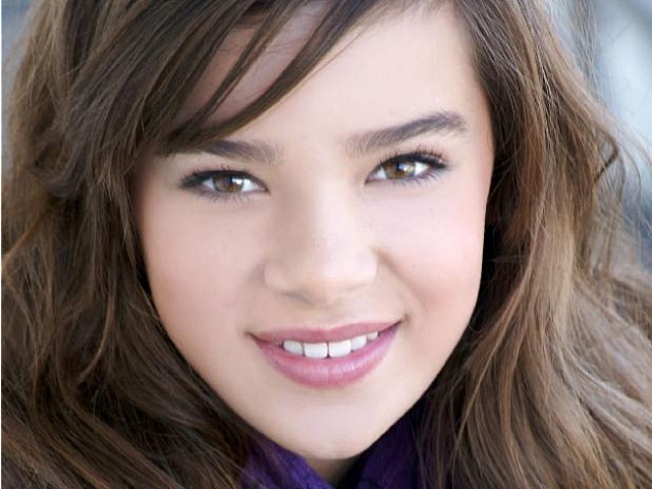 At age 14, Hailee Steinfeld has seemingly already conquered Hollywood – and all because of one pivotal role. The teen star is earning rave reviews for her portrayal of Mattie Ross, a young girl who hires drunken and decrepit bounty hunter Rooster Cogburn (played by Jeff Bridges) to hunt down the man who murdered her father in the Coen brothers' remake of "True Grit." "[Acting] has always been something I've loved to do since the day I started and I feel like I tried every type of sport, every type of dance and never stuck with anything," Hailee — AccessHollywood.com's newest Rising Star — recently told us. "There was something about this that I just fell in love with and it's the only thing I've stuck with." Hailing from Thousand Oaks, California, Hailee's commitment to her craft has certainly paid off. The young actress has been nominated for a Critics Choice Award and a Broadcast Film Critics Award, as well as a SAG Award for Outstanding Performance By A Female Actress in a Supporting Role for her big screen breakout role. While Hailee had previously acted in short films like "She's A Fox" and "Without Wings" prior to landing in the Coen brothers' Western, the youngster was virtually unknown until "True Grit." She faced stiff competition for the coveted role and impressed her seasoned co-stars, including Oscar-winning actors, Jeff Bridges and Matt Damon. "Something like 15,000 girls tried out for this part," "Jeff recently told Access. "I'm so glad we ended up with Hailee." "This [character] isn't her at all," Matt Damon told Access. "[Hailee] is very different in the movie than she is in real life — it really is a performance." Far from a shy child, Hailee laid down the law with Jeff, Matt and the film's villain, Josh Brolin, on set. She made a "bad boy jar" for charity, in which the men had to put money every time they cursed. "I charged five dollars for the "f" word and a dollar for all the other words," Hailee told Access. "They were like, 'This is not fair! You cannot do this!' So, they decided right there they had to designate me a word. "That [word] was 'like,'" she added. "So, if I said the word 'like,' I had to pay 50 cents." Hailee's haul was $350 — an amount she matched and donated to an Alzheimer's Foundation. However, the take-charge Hailee lost her cool when she met her idol, Justin Timberlake, recently at a screening of "True Grit" in Beverly Hills. "[Justin] was like, 'You're amazing. Are you so excited?" Hailee told Access. "I was like, 'I'm more excited that you are here, but the movie was awesome right?'"